James David Cliburn, age 70, died Monday October 8, 2018 in Bellingham, WA. The Allen County native was the husband of the late Nancy Lynn Foster Cliburn, the son of the late Oldridge and Frances Whitney Cliburn, and was preceded in death by one brother Billy Cliburn. The Western Kentucky University graduate earned his Bachelor's degree in Mathematics and Economics and later earned a Master's degree in Economics and Rank 1 in Education from the University of Kentucky. 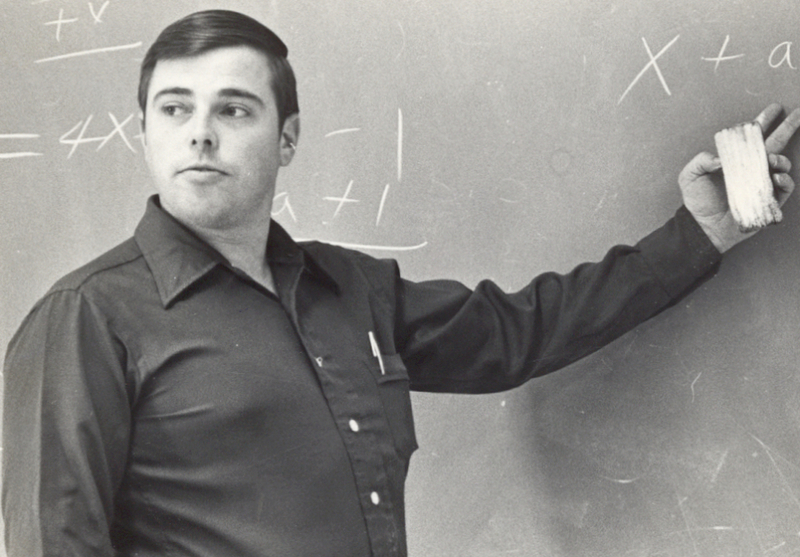 He taught mathematics his entire career at Allen County-Scottsville High School, was the Academic Team coach at ACSHS from 1984 until 2000 and taught a number of years at WKU. He is survived by one daughter, Whitney Motley (Daniel) of Lynden, WA; four sons, John David Cliburn (Catherine) of Cloverport, KY, Matthew Cliburn (Gretchen) of Nicholasville, KY, Paul Cliburn of Scottsville, and Mark Cliburn (Laura) of Richmond, VA; seven grandchildren, John Andrew, James, Thomas, Ethan, Zoe, Elliott and Luna; one brother, John Oldridge Cliburn and 5 nieces and nephews. Visitation will be 6:00 PM until 8:00 PM Friday October 12 and Saturday October 13 7:00 AM until service time. Funeral Services will be 11:00 AM Saturday October 13, 2018 at the T.W. Crow and Son Funeral Home with burial in the Crescent Hill Cemetery. Memorial Donations may be made to ACSH Academic Team 1545 Bowling Green Rd. Scottsville, Ky. 42164 Attn. Michelle Sullivan.